The rare isotope radium-225 is an attractive alternative. Its "pear-shaped" nucleus (see figure) amplifies the observable EDM by orders of magnitude compared to the nearly spherical nucleus of mercury-199. In order to perform a competitive experiment, a radium-225 clock only needs to be stable to less than one second every two years. This is difficult but feasible. The sensitivity of this radium clock is currently limited only by the small number of atoms available (about 0.000005 milligrams per day). In the future, using an even more "pear-shaped" nuclei, such as the rare isotope protactinium-229, may improve the sensitivity of these EDM searches by another factor of a thousand. In other words, a competitive experiment with a protactinium clock would only need to be stable to less than one second every day. 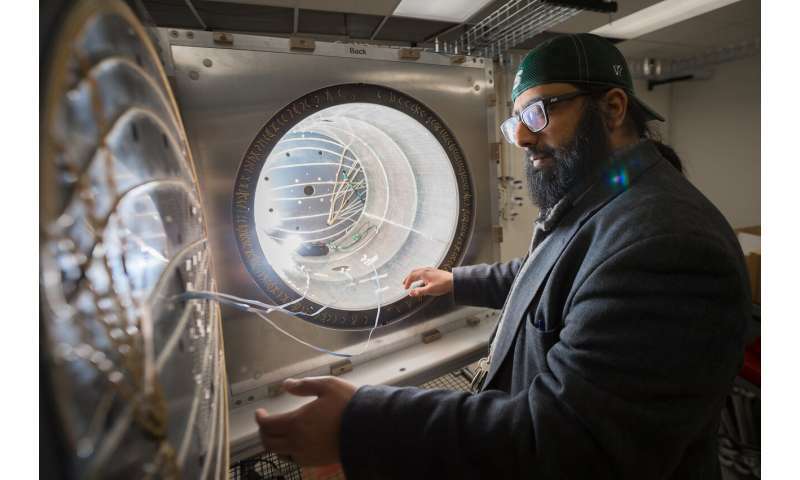 "We, everything we see, and the rest of the observable universe exists because the antimatter vanished during birth of the universe," Singh said. "Discovering a new source of time-reversal violation, perhaps using rare pear-shaped nuclei, would begin to explain how this happened." Keep working at this, you will find the answer, but time reversal is like resorting to magic. We know that CPT - Charge, Parity, and Time combined - must be preserved. And we know that either of those must be broken to fulfill the Sakharov conditions that most easily enables matter/antimatter asymmetry where it is needed, in the early out-of-equilibrium Hot Big Bang universe. That is why people have looked for C/CP breakings, and found them, and while we do test T breakings they are trivial as the other side of the CPT preservation coin. 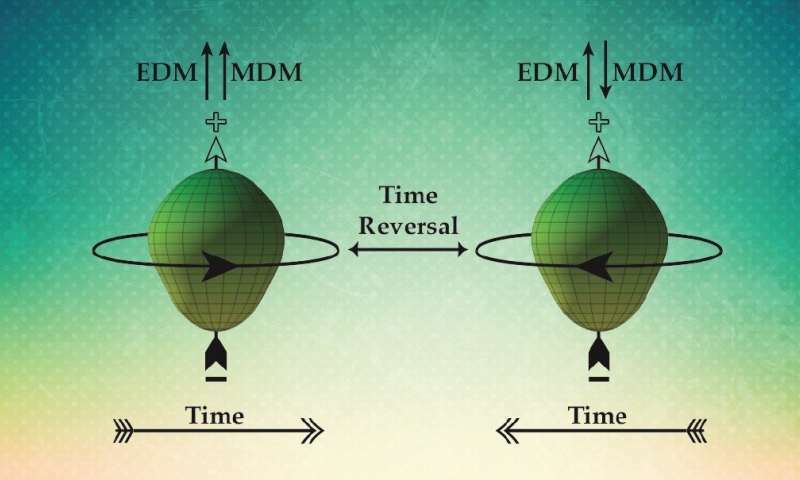 In quantum physics time reversal is not an event that goes from the future to the past. It is an event that, if you would record it, you could not tell if the playback is going forward or backward. Yes, AFAIK entangled particles can be used to "break" T all the time - but it does not *mean* anything else than entanglement, no signals travel, no new physics as discussed here. There is also the microscale reversibility of physics, it is when entropy acts that it gets direction.